For the seventh consecutive year, longtime supporters Mark, Ricki, John Mark and Will Holleman will host “Happenin’ at the Hollemans,” an evening of entertainment featuring the unveiling of the Roxy Regional Theatre’s highly-anticipated Season 37, on Friday, May 10, from 5:30pm to 7:30pm. 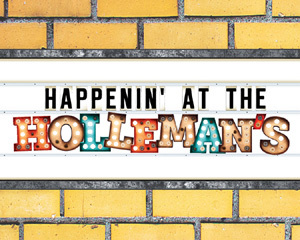 Tickets to “Happenin’ at the Hollemans” are $50 per person and may be purchased online via the below button, by phone at (931) 645-7699, or at the theatre during regular box office hours (9:00am to 2:00pm, Mondays through Fridays, and one hour prior to performances). 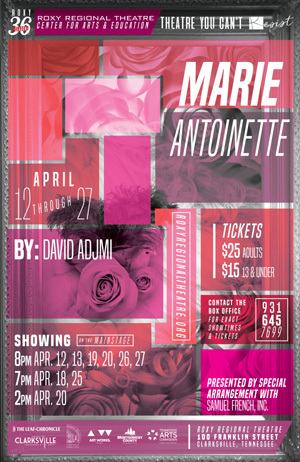 Patrons are requested to RSVP by May 3, but a limited number of tickets will be available at the door.